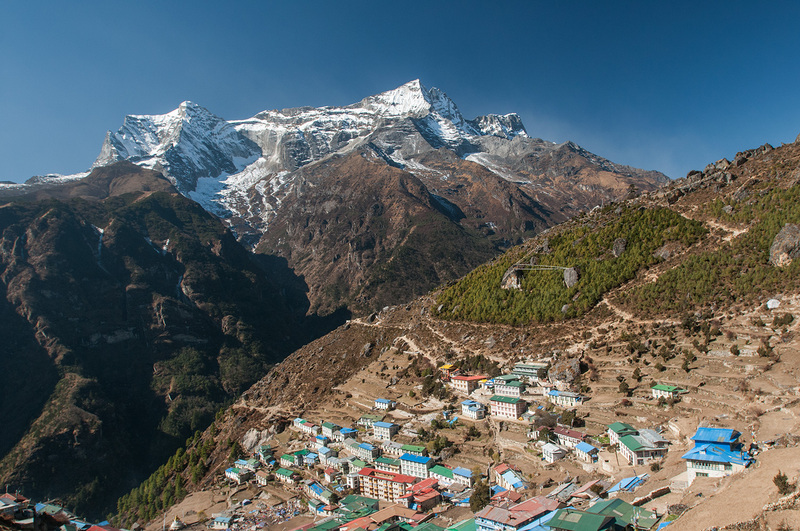 The capital and administrative centre of the Khumbu, Namche is at an altitude of 3440m. The peak in the background is Kongde Ri (6187m). The townhas grown rapidly in recent years as the burgeoning trekking industry bring ever increasing numbers of toursists to the area. Many visitors spend two or tree nights here to acclimatise to the altitude pefore proceeding up valley.